A lot of things can fill that blank, which tends to make ordering coffee a little intimidating. But we’re here to sort things out for you. Two easily confused drinks are the flat white and the latte. While some people (including some baristas), believe a flat white is just a small latte, we’re here to prove otherwise. Read on for a breakdown on these two milky espresso drinks. Both the flat white and the latte are creamy, espresso based drinks. While either can be severed with a single or double shot, they are both usually served with double shots, especially in the US. The double shot is for the sake of balance, since both of these drinks have a lot of milk products mixed into them. However, you will get more of the espresso taste with a flat white than with a latte, because there is less milk in the former. However, in order to differentiate the drinks, some coffee bars will use a single or double shot of ristretto in their drinks instead. Ristretto means you get the same amount of espresso using half the amount of water, so it often packs a more distinct punch. The flat white is the newer of the two drinks, originating sometime in the 1980s. However, it’s exact origins are adamantly debated between Australia and New Zealand. Just like its creation, the actual making of flat whites varies wildly depending on what establishment you’re ordering from. The consistent basics is that it is less dense than a latte or even a cappuccino. This is because it uses microfoam rather than regular milk foam or steamed milk. Ideally, a purely textured microfoam is integrated into 1-2 shots of espresso in a 5 oz cup to form a flat white. You´ll get pure silk with zero froth and a solid espresso kick. Originating in the 1950s, the latte supposedly developed as a result of many Americans finding the cappuccino to be too strong. It really took off in popularity in the 1980s and remains one of America´s most popular drinks. As mentioned above, a latte begins with espresso, which takes up about 1/6 of the cup (1-2 shots). 4/6 is then filled with 5-6 oz of steamed milk, followed by a thin layer of milk foam. Clearly this drink is heavily milk based (even the word “latte” means milk in Italian). This results in a very creamy, smooth beverage that is usually served in an 8-ounce cup. Lastly, lattes are often served with art on top, created during the foam pouring process. Like with most espresso based drinks, milk is added to both the flat white and the latte. However, the difference is how the milk is mixed or frothed. Ordinarily, when a barista steams the milk, it naturally forms 3 layers as it gets stretched. The bottom layer is the steamed milk, which is topped by a naturally forming microfoam with tiny air bubbles. A more airy foam or froth sits at the very top. For a flat white, the foam and froth are consistently mixed back into the steamed milk. This gives the entire portion a texture like that of the microfoam. If done correctly, the mixture should look a bit like a white gloss paint. As a result of this technique, flat whites are often described as having a velvety texture. Steaming the milk for a latte is a little bit more straight forward. The majority of this drink (about 5/6 of it), is made during this process. The milk is simply frothed with a steaming wand, as normal, creating distinct layers of steamed milk, microfoam, and froth. The steamed milk ends up taking up about 4/6 of the end drink with just 1/6 being devoted to the froth and microfoam on the top. While the steaming process is more complex for the flat white, the opposite is true for the pouring process. For a flat white, a barista simply needs to free pour the microfoam into the espresso immediately after steaming it. The immediacy of this step is important because if the microfoam is left to sit, the steamed milk will separate out. If executed correctly, the microfoam will mix with the crema from the espresso, creating a smooth (flat) golden brown surface for the drink. On the other hand, pouring the milk for a latte is a bit more involved. Many baristas will hold back the foam on top with a spoon while pouring in the steamed milk. Then the foam is either simply released to sit on top or the barista goes the extra mile and uses it to create latte art. One more defining factor between these two drinks is how they are served. But keep in mind these rules are only loosely followed, especially in high volume coffee chains. The flat white is visibly smaller than most other espresso drinks, including lattes and cappuccinos. They are traditionally served in 5 oz tulip cups. However, a lot of places super-size them (Starbucks usually serves 12 oz flat whites for example). 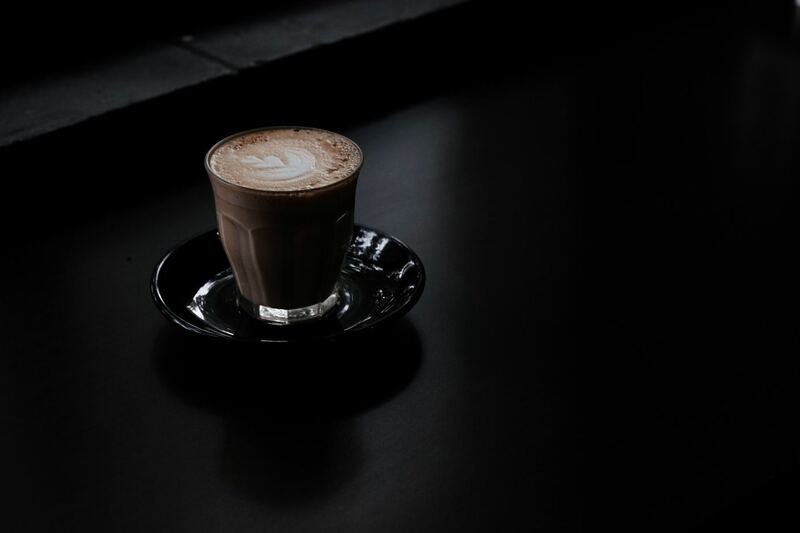 On the other hand, a latte is traditionally served in an 8 oz glass (rather than an opaque cup), so that you can see the different layers of the drink. Many places also super-size this drink as well though. So if you’re looking for a smaller drink with a bigger espresso kick and a velvet-like mouthfeel, try ordering a flat white. On the other hand, if you’re here for a bigger drink that tastes like milky espresso, we recommend a latte. Sometimes it can be confusing to pick what brewing machine with best suit your coffee needs- in this case a lot of latte. In our guide to choosing the best latte machine, we break down all the information you need to know before you buy. We all aspire to achieve pro-level at-home barista status, and the first step to achieving that is getting a good espresso machine. At Roasty, we've created a list of the best automatic espresso machines out there, so you can make the right decision on the path to caffeination.